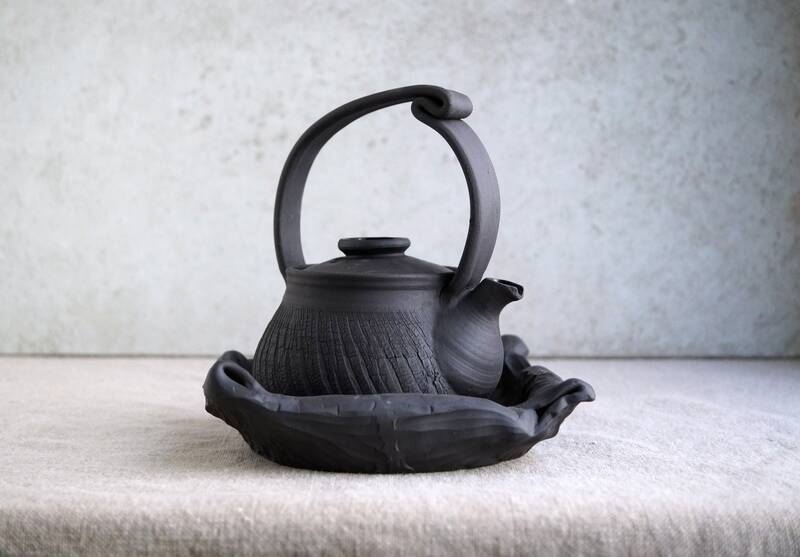 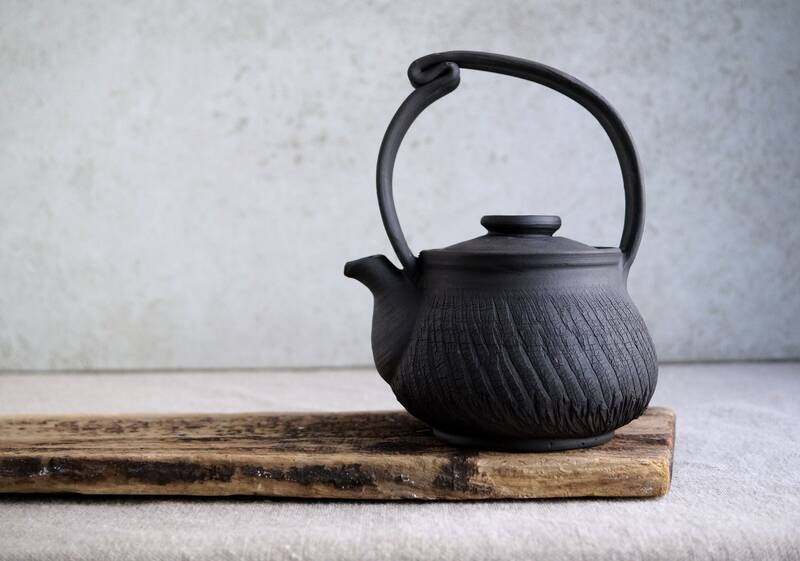 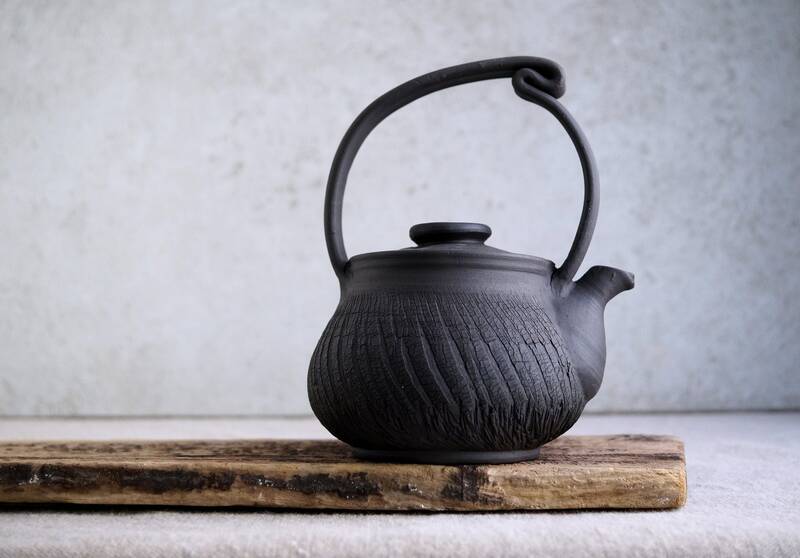 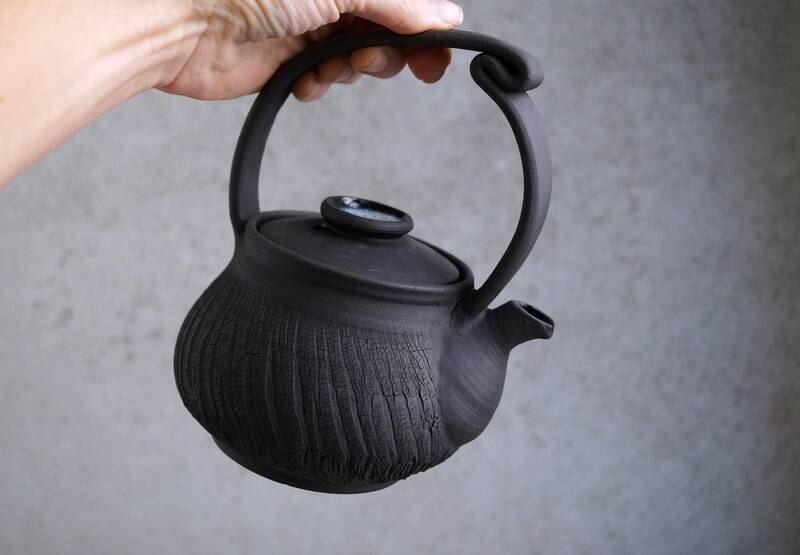 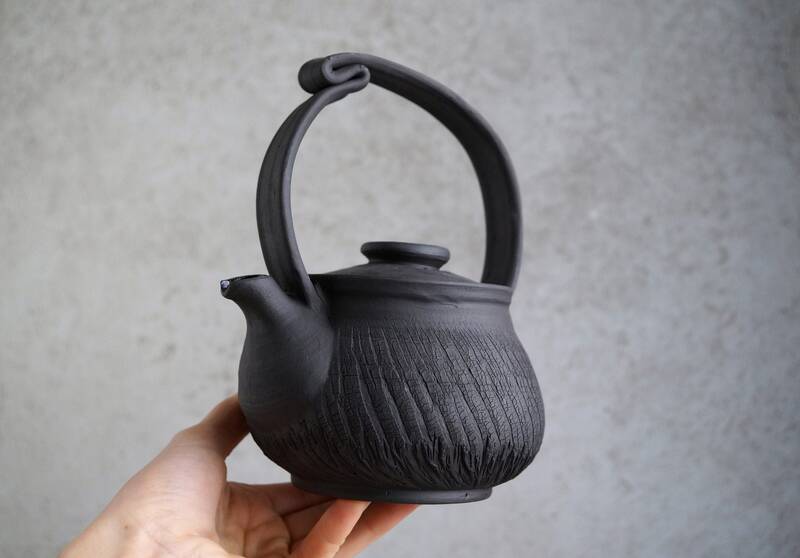 Handmade Ceramic Teapot, Lava Crack Texture, Rustic Design, Remarkable Pottery, 18 oz, Unique Tea Ceremony Piece, Pottery Clay Gift. 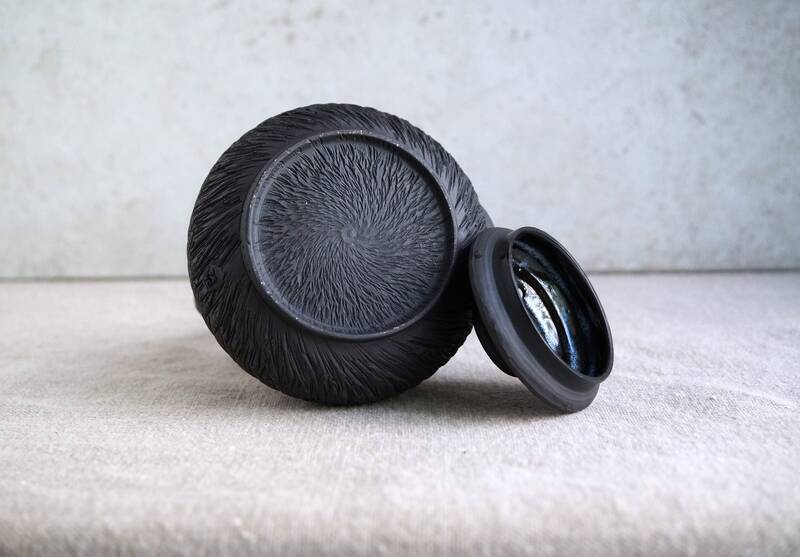 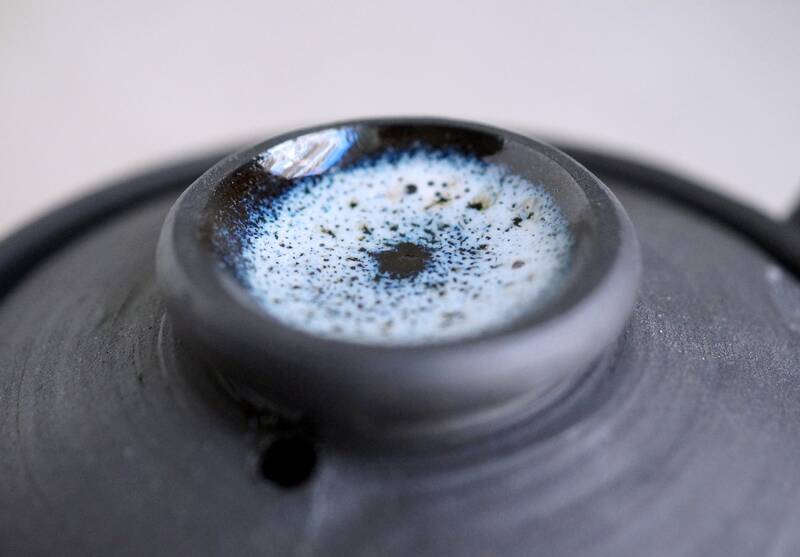 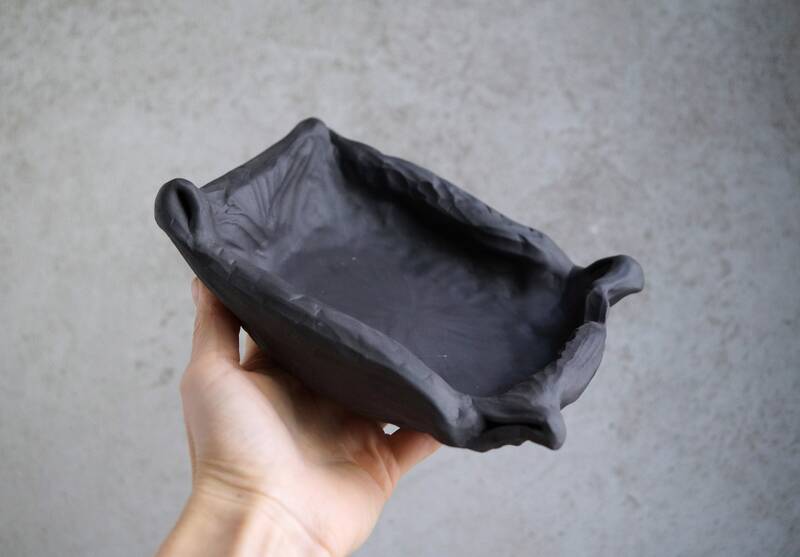 The technique involves by using sodium silicate and a heat gun to quickly harden the outside surface of a freshly thrown cylinder. 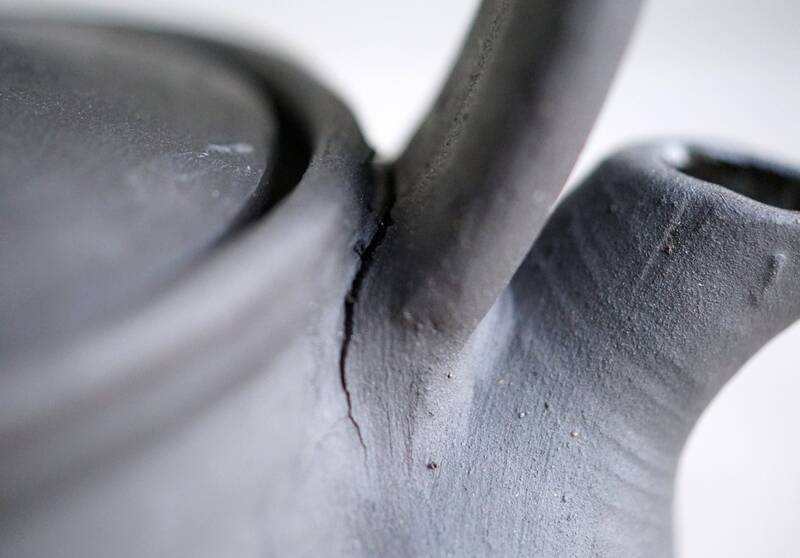 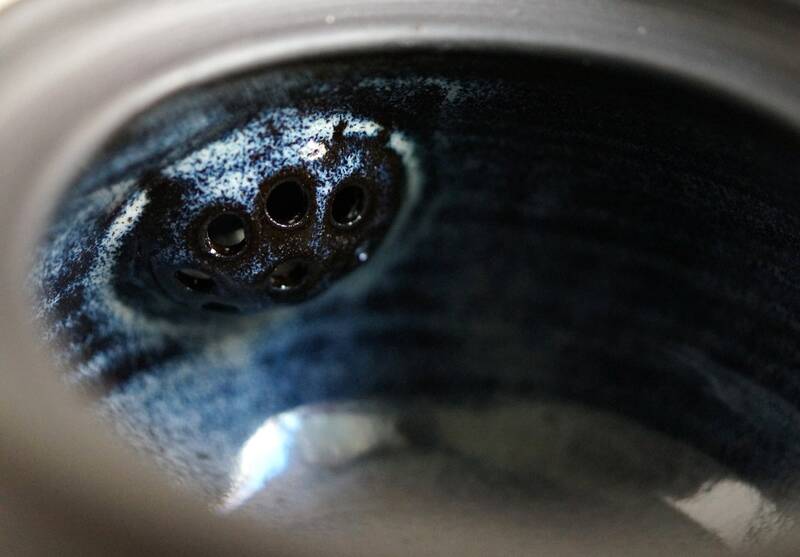 Then the cylinder can be stretched from the inside, creating a lovely cracked texture on the surface.